Navy PRO D. K. Sharma on 31 may said the Indian Navy is closely tracking the developments and has kept ships standby with all the relief materials to counter Cyclone Mora aftermath. "As of now our ship are there in Bay of Bengal and Arabian Sea. We knew that cyclone Mora which was becoming a threat so Indian Navy was ready in all respect. Because over the years we have seen it that cyclone either hit on the eastern coast or turn towards north east and then head towards Bangladesh and Myanmar. We were tracking this very closely and kept our ships standby," Sharma told ANI. Asserting that at least 33 people onboard have been recovered so far, Sharma further said that the Indian Navy have sailed INS Gharial from Vishakhapatnam which would reach tomorrow. "Meanwhile, to scan the area nicely we have also put PATI in the air which was launched in the morning. Sumitra will be entering in Bangladesh after initial rescue procedure," he added. 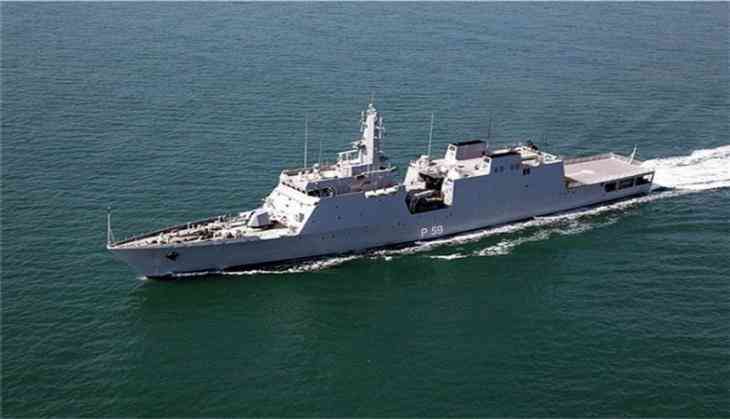 Indian Naval Chief Admiral Sunil Lanba earlier in the day said that the second ship has sailed with relief materials for Bangladesh and the Indian Navy is running two Humanitarian Assistance Disaster Relief (HADR) operations as well. INS Sumitra is involved in a major Search and Rescue (SAR) operation 90 miles south of Bangladesh's Chittagong. The people trapped, had been washed away from shore and coastal dwelling units due to Cyclone Mora. The severe cyclonic storm MORA over northeast and adjoining east central Bay of Bengal moved further north northeastward with a speed of 28 kmph, and lay centred at 02:30 hours IST on 30 may. Mora was centred at around 385km south of Chittagong port and 305 km south of Cox's Bazar port around 7 p.m. on 29 may, said Bangladesh Meteorological Department.